-Jonathan was kind enough to send me an e-copy of this book last month. I finally had time to start reading it this week. I'm almost done with it and am quite enjoying it thus far. -This sounds really good. I haven't heard much about it on the blogosphere. I'm looking forward to it. -This was a lucky find at the library. I've read a bunch of reviews of this book lately and every seems to really like it. -Excited to finally get this book! Oh looking forward to seeing your thoughts on Across the Universe Alison! The Running Dream looks fabulous as well, and I haven't heard much about Mad Love, so I'll have to look that one up:) Enjoy all these! Mad love and AtU are books that definitely sound interesting to read. I've just started hearing things about Mad love- looking forward to reading your thoughts on it. Haven't yet read any of these, but Across The Universe is waiting for me somewhere in my shelf. 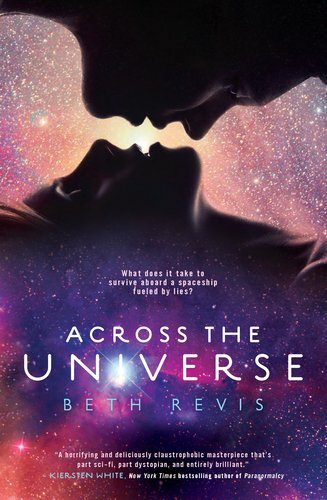 Across the Universe is on my wishlist as well - don't you just love the cover? Btw, I love your blog design. Looks awesome. Enjoy reading! Take a look at what I found in my Mailbox this week. I loved Across the Universe and thought Mad Love was cute. 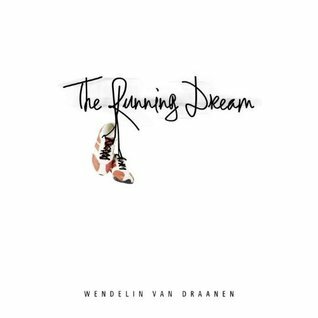 I want to read The Running Dream. I've read some good reviews of it and really liked Flipped. I hope you enjoy all of these! No Going Back sounds really good! I can't wait to read your review. Also, I've been dying to read Across the Universe, so it's good to see some of your other followers have enjoyed it. Great haul this week! No Going Back sounds great, and I LOVED the 3 you picked up from the library. The Running Dream was fantastic! I posted a review on my blog, but I agree with you, it hasn't gotten much attention, which is a shame. Have a great week! I am really looking forward to hearing what you think on Mad Love! I've heard nothing but good things about that one, as well. And the e-book you got sounds intriguing, too - I do like the 'issue' books! Looking forward to your review! Haven't heard anything about Mad Love or No Going Back, but they both sound interesting! Thanks for stopping by my blog! I got involved with Amazon Vine sort of by accident. I was clicking around their website trying to find out how they chose the participants when I stumbled across an application. I filled it out and was accepted! I tried to find the original link to forward to others who have asked, but haven't had any luck yet. If I ever stumble across it again, I'll definitely post it! I've seen a bunch of reviews for Mad Love too which got me more interested in reading it. Enjoy! You got some great finds this week. I love the cover for Mad Love, wish my library carried this one. No Going Back sounds really promising: Mormon gay teen with a heavy heart of his secret. It's hard enough being true to your identity but in this religio world all the more harder. Let me know how this one turns out. I'm really forward to your reviews on "Mad Love" and "Across the Universe." I keep hearing good things about both. i loved Mad Love!! I hope you like it too!! I can't wait to read Across the Universe! I hope it's good! Very cute blog design! I love cherry blossoms/sakura (I'm assuming these are). Thanks for stopping by The Book Rat! OMG Alison! I love your mailbox this week. Thanks for reminding me of No Going Back, been wanting to read that one, and of course Mad Love, too. I have read some good reviews for it. Looking forward to yours. Happy Reading. I have across the universe on my bookshelf sitting there begging me to read it...I have heard nothing but good things about that book as well. Wendelin van Draanen is an amazing author! Enjoy your reading. Mad Love looks like a fun read and since I haven't heard much about Running Dream, I'm looking forward to seeing what you think of it. I have The Running Dream too. It looks like a good story. I love the cover for Across the Universe and heard it was a really good read. 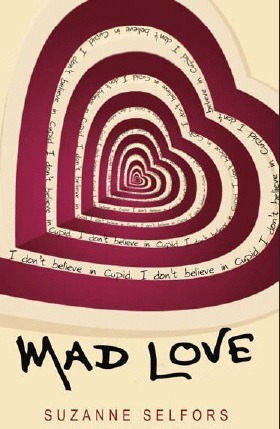 I really like the cover for Mad Love too. New follower! I've read a lot of reviews for Mad Love as well, all good. I hope you enjoy it, it looks like a good read! I cannot wait to start it! I'm only familiar with Across the Universe from your pile but I hope you enjoy reading all of the books that you got. :) Thanks for dropping by my IMM post. I just finished Across the Universe. I hope you enjoy it as much as I did! Love the stack of books you have this week. I'll have to check Mad Love out. :) Happy reading! Thanks for stopping by my blog! :) I really like the colors of your layout! I am very jealous of your library finds! I've been wanting to read MAD LOVE and ACROSS THE UNIVERSE. MAD LOVE and ATU both sound awesome! Can't wait for your thoughts. I hope you love Across the Universe as much as I did! I seriously cannot wait until the second book comes out. And Mad Love! I just recently bought that, but I haven't gotten to it yet. Hopefully we both like it. Great haul this week! Thanks for stopping by my blog. Looking forward to Across the Universe myself. Wow, Mad Love, lucky library find, my library rarely has good ones in. I have heard nothing but great things on Across the Universe, can't wait to hear your review. Thanks for the follow! Great IMM, I havent read any of these but just recently got AtU in the mail! Great book haul! I have been wanting to read Mad Love. Yay, Across the Universe. That is my next to read after Linger. Can't wait to read your review of it! I keep seeing Mad About Love all over the place, I am going to have to check that one out. I hope you enjoy all of your books! I have an ARC of Across The Universe, and I cannot wait to read it!! Great haul this week! Ahhh Mad Love! That one looks so cute and fun! I hope you enjoy! anyway, these books sound awesome. ive read AtU and it was kickass. 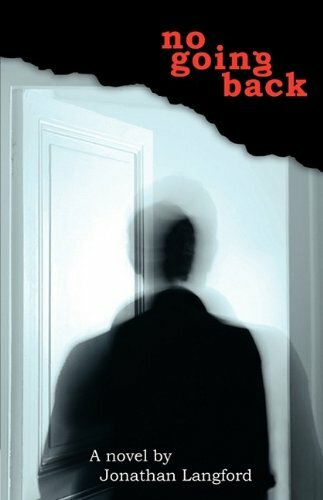 no going back seems really interesting--will keep an eye out for it! I really want to read The Running Dream. I've heard such good things about it. And I really liked Across the Universe. Very original and different than expected. Hope you enjoy your books! Mad Love! So jealous, I can't wait to read that. Great mailbox! Across the Universe is getting raves! Enjoy!